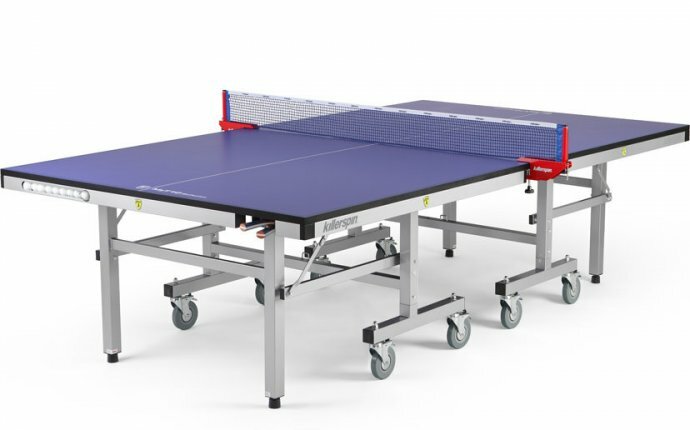 We all know what the sport of table tennis (or ping pong) entails - two or four players hitting a ball across the table using a paddle and light, hallow balls. The basic idea has remained somewhat unchanged since its origin which dates back to 19th century England. Lawn Tennis was a common and popular sport back then, so some upper class Victorians in India and South Africa thought of a brilliant idea on how to translate the game of Lawn Tennis into their homes - so they improvised…and it worked! They used their regular dining tables, stacked some books to be used as a "net, " and instead of paddles, they used whatever they could find… sometimes books, sometimes even the lids from empty cigar boxes. The game today, officially referred to as “Table Tennis, ” was once known as Whiff-Whaff, Gossamer, Flim Flam, Pim Pam, and of course Ping Pong. The sport itself endured many changes throughout time. Instead of rubber balls (or Champagne corks, commonly used at the time), celluloid balls were introduced, and various innovations were made as well in order to improve the game such as paddles, tables and nets dedicated to the new type of game. Table tennis quickly started to spread like wildfire across Europe to the US, and it was believed that it found its way to Asia through British Army soldiers. Although it’s hard to believe that this sport was once dominated by the Europeans, at one point the players from Hungary, and even France and Sweden, were basically untouchable. However, that was soon changed when the Japanese introduced the foam rubber paddle that changed the game forever. Table Tennis was an unofficial sport, until 1927, when the International Table Tennis Federation (founded in Berlin in 1926) organized the first Table Tennis World Championship in London and after 62 years it was introduced as an Olympic sport in 1988.